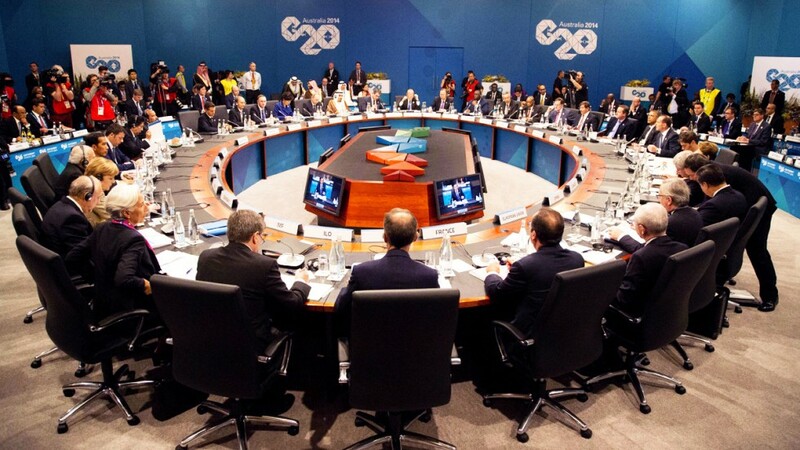 For those of us who don’t know, the G-20 or Group-20 is an international forum that brings together governments and Central Bank governors from powerful nations around the world, including the E.U. Since their agenda has expanded over the years, the group now holds separate meetings for heads of states, finance ministers and foreign ministers. The next G-20 meeting of finance ministers and Central Bank deputies and governors will take place this month (19th-22nd March) in Buenos Aires, Argentina. By now, it should be quite evident that news and daily happenings in the financial sector affect the crypto market, thus, there is no doubt that the forum of world Central Banks and leaders will definitely have a sway on the crypto-verse. Since the G-20 primary focus is governance of the global economy, cryptos, the effect they have had on banks, and economies of the world will be one of the main issues discussed. In fact, news has filtered in that France and Germany have already called upon other nations to seek global regulations on cryptocurrencies and they may present their proposals at the meeting, detailing how they intend to shape and control these so-called global regulations. This news has a lot of investors worried as world Central Banks are known to show animosity towards cryptos, they are known for their bearish and harsh rhetoric. France and Germany’s push for cryptocurrency regulation has catapulted this topic to the top of the agenda of the G-20 summit. When one considers things like increase in awareness, adoption and partnerships of crypto-based companies with mainstream companies, launch of national cryptos by countries like Venezuela, (and now, Russia and Iran plan to follow suit), increase in crime, scams and illegal purchases with the aid of digital currency, it is only natural that the world’s financial bodies take notice and will want to control cryptos. Oh, and there’s also the fact that a lot of banks are now admitting that cryptocurrencies are a BIG threat to them. This is why the G-20 has investors unsettled, and on the edge of their seats. There is an aura of uncertainty about the outcome of this meeting, can you blame crypto users? What is the community thinking about all this? Ever since Nobel Prize-winning economist, Joseph Stiglitz stated that “there needs to be more Bitcoin regulation which will in turn, drive it out of existence,” calls for crypto-based regulations especially by a group of people (the Central Banks) that have always been known to hate cryptos, has got investors worried. Despite all the negativity associated with the G-20 and cryptocurrencies, some investors are still optimistic. Their optimism stems from the fact that U.S president, Donald Trump has signaled that he is ready to start a trade war, and if such a war breaks out, this may soften the rhetoric of the Central Banks since financial markets may crash, making cryptocurrencies a viable investment alternative. Others have downplayed the effectiveness of the G-20 on cryptos, or virtually anything. They cite their inability to work together on things like climate change as proof that they won’t be able to make any unanimous decision on crypto regulations, but only time will tell. What will global crypto regulation look like? Crypto regulations may take different shapes, it is speculated that privacy coins may be hit the hardest by these regulations, because one of the main things the Central Banks hate about cryptos is their anonymity, during this period, it may be wise to look into coins that aren’t privacy oriented. How should you position yourself? In the end, nobody really knows for sure what the outcome of the meeting will bring, but basking in ignorant optimism or underestimation of the G-20 powers may backfire because according to history, the Central Banks are known to be bearish on the markets. Whatever the outcome may be analyst advice that it is best to play it safe during this period and risk little so you don’t lose much!